As I had a couple of days vacation planned, I hoped for a break in the wet weather (which was very welcome to dampen down the bush fire grounds) and Thursday 14th. November was indeed such a day with temperatures up to 29 degrees on the coast and about 5-7 degrees less in land. 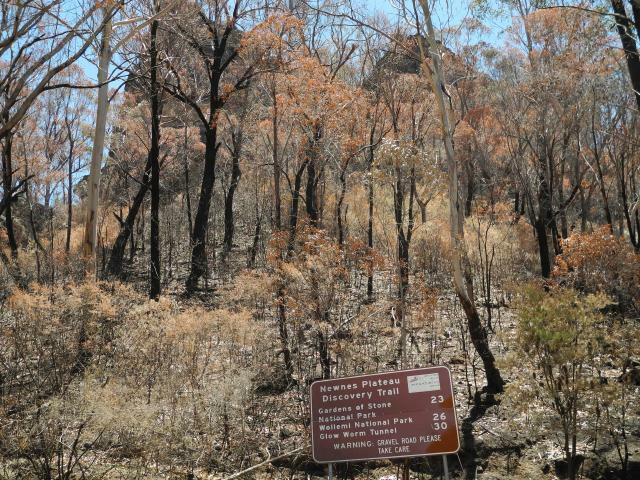 I had been searching for suitable summits to activate for a while and as there are relatively few on the Central Coast, a drive of 2-3 hours is needed to get to some suitable options. 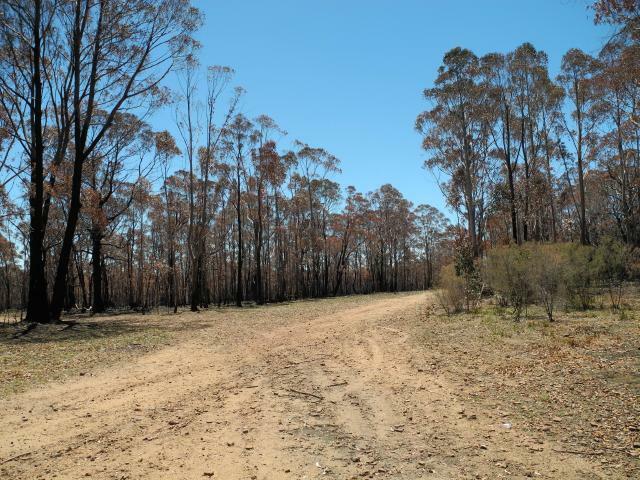 As you’ll see from my previous blog entries NNW takes me up into the Hunter Valley area for SOTA summits but this time I headed WSW to the Blue Mountains which is in the SOTA Central Tablelands area. Many of these summits have been unreachable for the last few weeks because of the major bush fires in the area and I had been keeping in touch with the tourist office and the rangers as my vacation dates approached and as luck would have it, with the rains coming through, the access roads that I needed to use were re-opened just in time for my activations. The effect of the bush fires would make my second activation of the day a very different one as the pictures later will show. 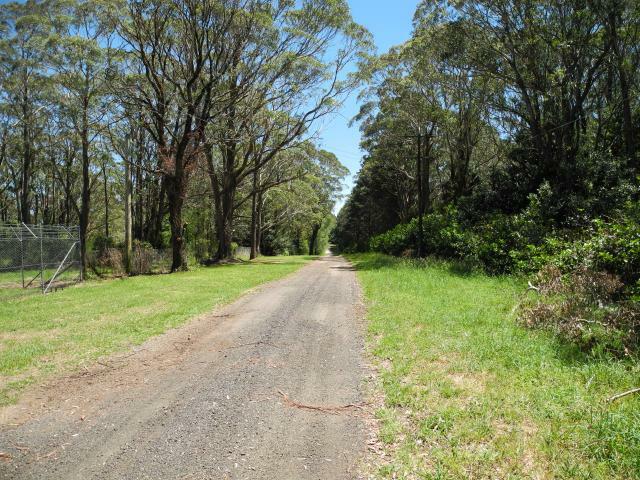 VK2/CT-043 – Mount Tomah (1010m – 6 points). 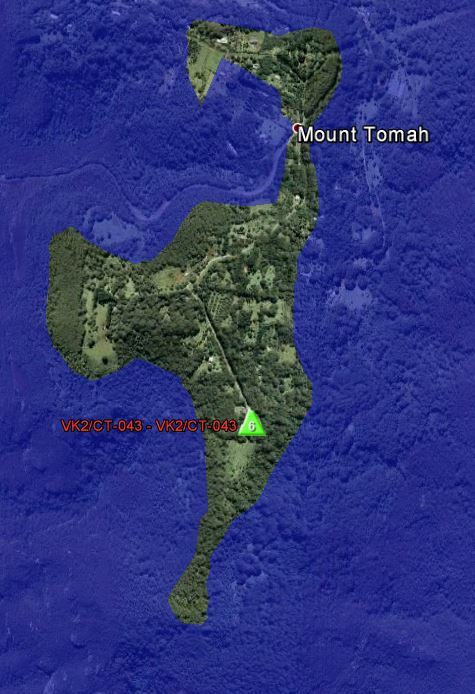 Although not listed with this name in the SOTA database at present VK2/CT-043 is in fact Mt Tomah. 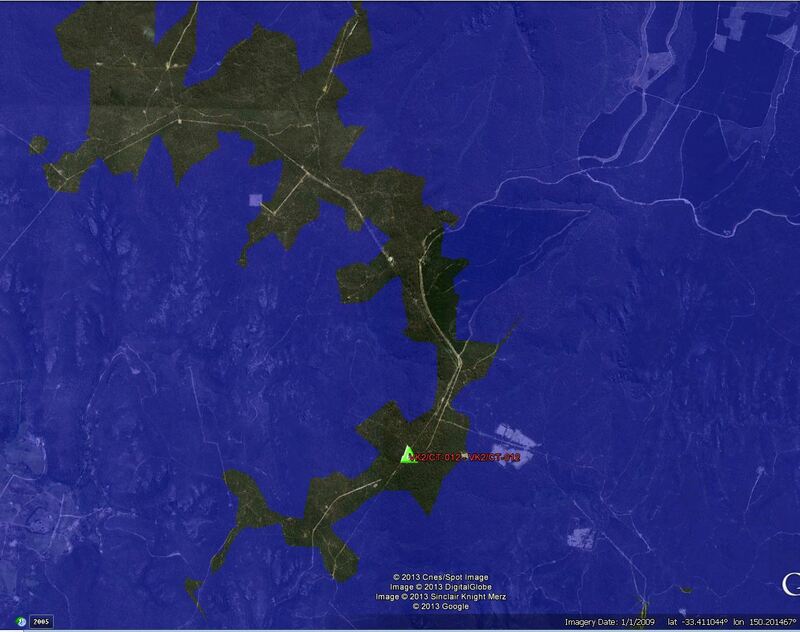 Public access is easy by taking Rainbow Ravine and then Charleys Road from the main “Bells line of road”. Access is not possible any other way as the grounds around the summit are private. Car parking is at the actual summit. So a walk away from and back to the summit was executed. This serves a dual purpose. As well as being “in-the-spirit” of SOTA, it also gives the opportunity to see if there was a better location to set-up the station and look for a Trig point (there is none). Near to the summit there is a large high power microwave relay station, which I suspect accounted for my S3-4 noise level. Having checked out other roadside locations, which were too close to private homes, I returned to the summit and headed down away from where the car was parked into some open grassland and used one of the pairs of locked gates to fasten my squid pole to for the linked dipole antenna. 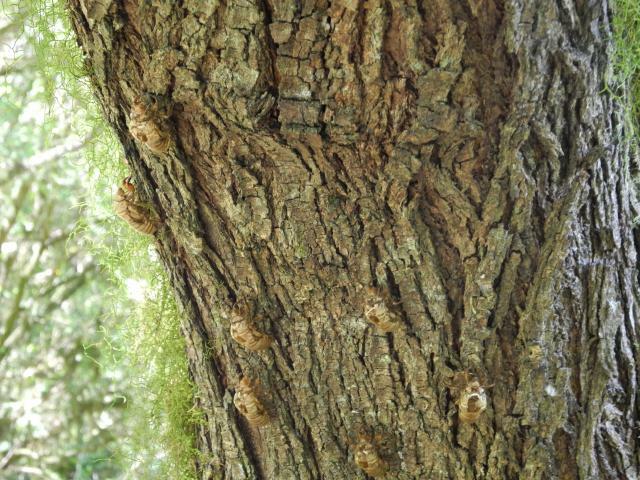 I found an interesting sight on one of the trees nearby – it looked like some creatures had simply exploded from their skins and left the skins, legs and all on the bark of a tree. 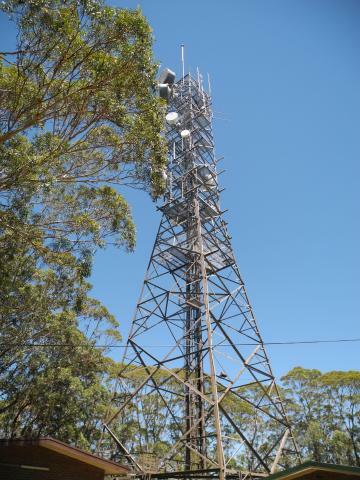 Although VHF coverage from here was very good (HT access back into the VK2RAG repeater at Somersby on the Central Coast), 40m contacts proved hard to make. Partly due to the high noise level and partly due to the bad propagation we have been having recently on 40m. I had set up skeds with several local amateurs from the Central Coast via the VK2RAG repeater on my drive over but although I could hear some of them on 40m, they could not hear me. Luckily other chasers were around. Cell Phone coverage was also marginal in this location, making self spotting a hit and miss affair. Strangely I managed a spot via the internet on a couple of occasions but never via SMS. Luckily Gerard VK2IO kindly spotted me on SOTAWatch after he worked me and a few more contacts came. I also tried 30m with some success. VK2/CT-012 (1190m – 6 points). 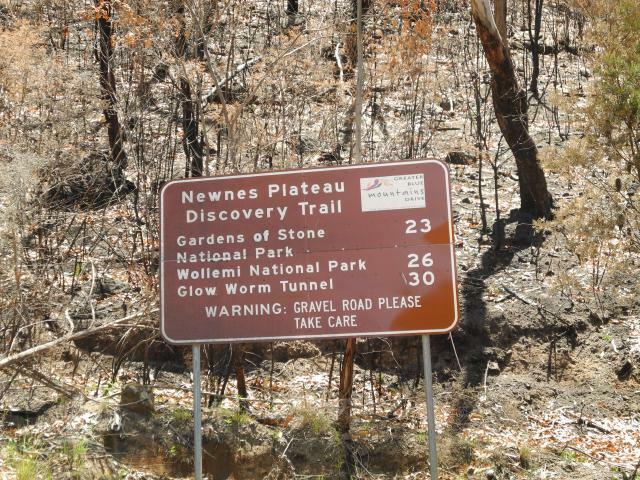 This location is on Newnes Plateau north of the town of Lithgow but the summit has no name (and no trig point) – it is simply the highest spot and is a few hundred metres off a dirt road called Glowworm Tunnel Road which goes to a local tourist attraction where a disused railway tunnel has become the home to hundreds on glow worms. Visiting that attraction was not on the trip list and as it took me somewhat longer than Google maps had predicted to get to this location, I was running short of time to find the location. As the actual highest spot is in the forest, I parked off the side of the road where I thought was close, loaded up my ruck sacks and set off on foot with my smart phone with a new application (Alpine Quest) that should act as a GPS display. In the bright sun reading the display was difficult but eventually I worked out which direction to walk until I got to the GPS coordinates listed in the SOTA database. This was somewhat further than I had first thought and while I had also found a better and safer spot to park the car, I walked back to the car, drove it to a better off-the-road spot and once again walked back to what was going to be my activation spot. I found the charred remains of a tree stump and decided to use that as the operating table. 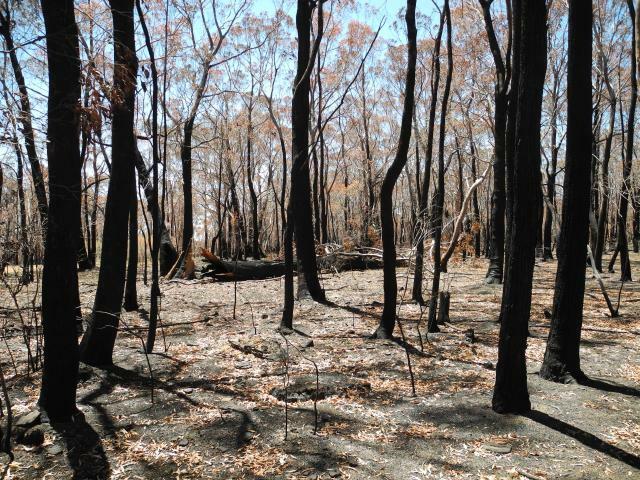 I then had to search nearby to find a tree that might be still strong enough to support the squid-pole, as you’ll see from the photos, all trees here had been totally burnt. This had definitely been in the middle of the fire storm. A rather eerie feeling operating from a point where everything had been killed. No wild life not even bugs – no wait, here they come – flies – as I was the only thing in the area, I had tens of flies with me for this activation and they really became annoying, being the reason that I eventually packed up and left. 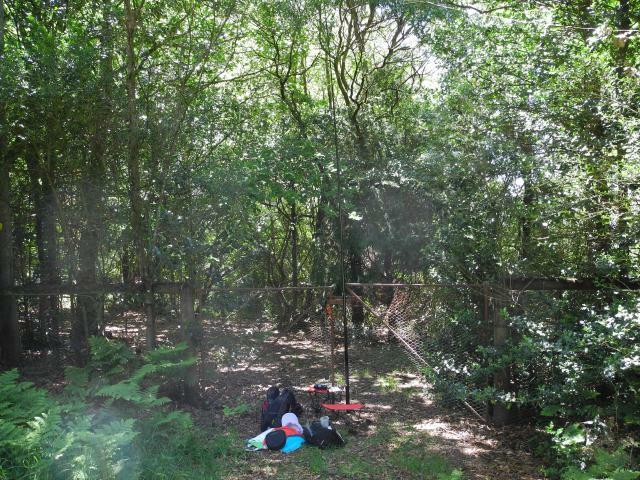 I actually managed one contact with one of the amateurs back on the Central Coast on 40m from this location but as I could not get him to give me an actual numerical report, only statements like very weak and hard to hear with QSB, I could not count this contact towards the four I needed for the activation. Thankfully Gerard VK2IO heard me again, we had our contact, he spotted me and other contacts followed. I again operated on both 40m and 30m and again contacts were easier on 30m. Since the mornings activation, Rod VK2TWR had decided to go and activate some SOTA peaks so I managed a Summit-to-Summit contact on this activation as well (thanks Rod). The flies finally got too annoying for me, so I packed up the equipment, noting that I will need to wash the antenna and cable spools before their next usage due to the amount of soot on them and headed back for the drive home which with the rush hour traffic and a major road accident happening directly in front of me, which I stayed to help with, meant the trip ended up being a near 3 hour return journey. Being on my own on this activation, I was only able to take a limited number of pictures, but these are shown below. VK2/CT-043 Local Microwave repeater and RF Noise maker. 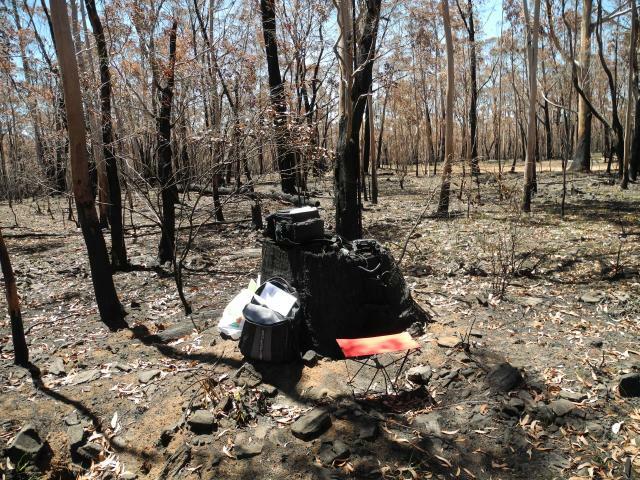 VK2/CT-012 Operating position on burnt out tree stump. This entry was posted in SOTA and tagged SOTA, VK2 by VK2JI DD5LP G8GLM. Bookmark the permalink.